At Meadows Dental Group, quality care means using the best materials to help patients achieve their functional and cosmetic goals. Through our longstanding partnership with a reputable dental lab, we are able to provide patients with customized restorations for one or more teeth. Our dentists will discuss your needs and goals to help you decide between a dental crown, a dental bridge or another option. We serve patients throughout the Lone Tree area, including Colorado communities like Highlands Ranch, Centennial and more. 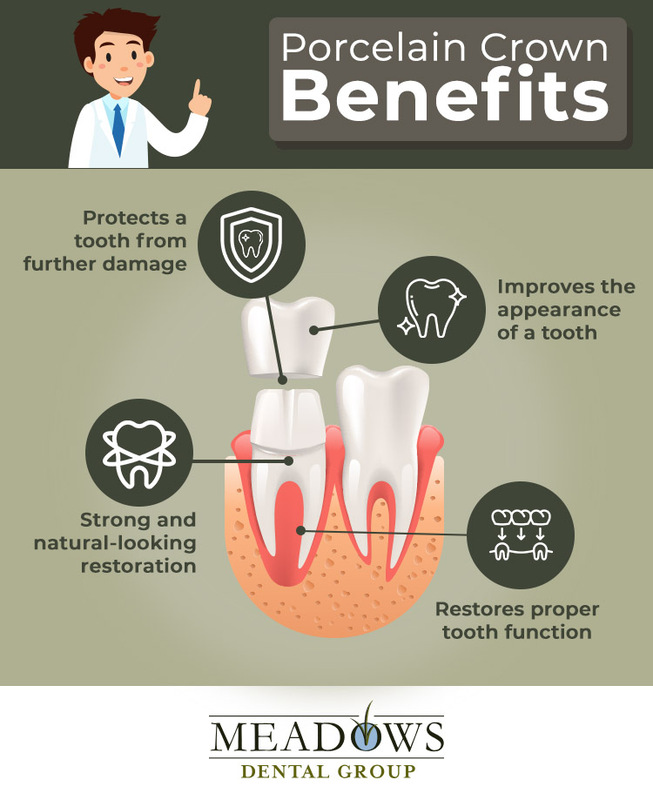 Call Meadows Dental Group today at 303-790-2323 to schedule your initial consultation. A crown fits over a tooth like a cap. It is generally used to repair teeth that are decayed or damaged. However, dental porcelain makes crowns a key component of our cosmetic dentistry services as well. Crowns are also used to complete a dental implant replacing a missing tooth. Do You Offer Same-Day Dental Crowns? Many dental offices have adopted chairside devices that fabricate crowns and other restorations in just one day. This technology is popular with patients because they can leave the office with a permanent crown, rather than getting a temporary cap and returning for a second appointment. But, Meadows Dental Group does not offer same-day crowns. The latest technology doesn’t necessarily mean the best, and we find that patients enjoy better, longer-lasting results when we work with our dental lab to create custom crowns using precisely shaped dental porcelain. Overnight results aren’t always the best results. Quality dental crowns are worth the wait! Does My Insurance Cover Porcelain Crowns? Our helpful team members will help you with submitting insurance forms and tell you about our financing options. Most dental insurance plans cover crowns, but the position of the crown and the reason for getting it will affect coverage in your specific situation. If you need to repair a tooth, your insurance will likely cover a crown. However, if the tooth is located outside of the smile line, your benefits may only extend to metal or porcelain-fused-to-metal crowns. If you’re getting a crown for chiefly cosmetic reasons, your insurance company likely won’t extend coverage. Ultimately, the best dental treatment should be between the patient and his or her dentist. We encourage patients frustrated by their dental insurance coverage or seeking a second opinion to find out how Meadows Dental Group can help! Not all patients with missing teeth are suitable candidates for dental implants. Bridges are still an effective alternative for filling that gap in your smile. Dental bridges can replace one or more teeth. A fixed bridge requires the placement of crowns on either side of the empty space and is cemented in place (as opposed to a partial denture, which is generally removable). Many patients come to us with questions about crowns, bridges, dentures and dental implants. 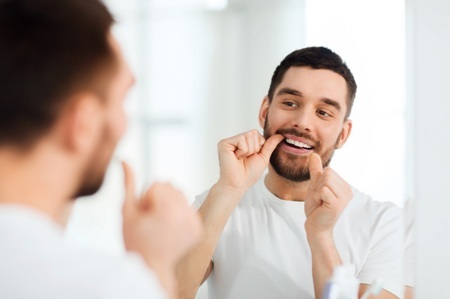 Ultimately, our dentists value stick-with-it-ness, and we work closely with each patient to determine the optimal procedure for restoring their dental health and improving the appearance of their smile. Find out if porcelain crowns, dental bridges or another treatment is right for you. Meadows Dental Group performs free limited consultations for patients seeking single-tooth treatment, but more extensive treatments will require a complete examination with a standard fee. Call 303-790-2323 to find out if you are eligible for a free consultation. Meadows Dental Group serves patients in and around Lone Tree, Highlands Ranch, Centennial and other nearby areas.